Strummer gives you the ability tostrum any guitar soundfont, VSTi, or sample player. Simply load a soundfont or connect a second VSTi and you’re ready to strum. While many plugins and soundware already have some form of strumming built-in, there are still hundreds of great-sounding guitar VSTi’s and soundfonts that don’t have this feature, and you might just have one of them. Strummer offers a more universal solution that can be used for a wide variety of sample-players and virtual instruments. 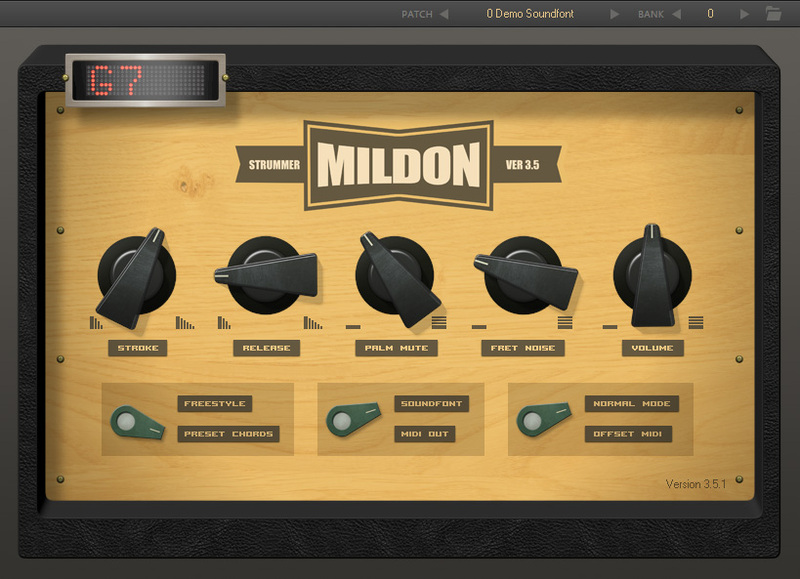 Mildon Strummer is simply a strumming engine, and it has no built-in sounds. However, there are many free soundfonts out there to get you started.